Hungry to know more about God and his ways? Look no further than this excellent devotional pack, filled with wisdom from Andrew Murray, Charles Spurgeon and John Wesley. 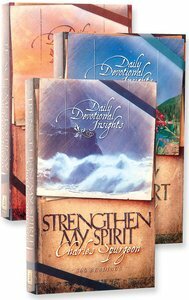 Each book provides 365 days of inspirational devotional studies.